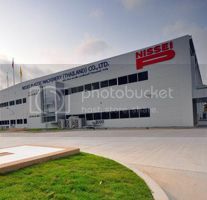 Nissei Plastic Industrial Co., Ltd has completed the construction of the facility for Thailand subsidiary, Nissei Plastic Machinery (Thailand) Co., Ltd., early April. Nissei continues installation of production equipments, such as industrial machines, which will be ready for full-scale operation in May. The Thailand production subsidiary is the second overseas production site for Nissei, an addition to Its first overseas production site is in Taicang, China. The new Thailand production facility with a building area of 5,130 sq m , consisting of a 1,080 sq m office area and a 4,050 sq m production area, will be built in Eastern Seaboard Industrial Estate in Rayong Province, located 117 km southeast of Bangkok and 30 km east of Laem Chabang Port. Four types of mid-size (110~360-tonne clamping force) hybrid injection moulding machine FNX Series will be produced at this facility, and 120 units will be produced for the first year. 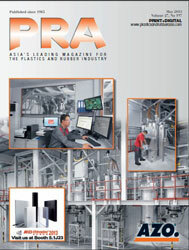 According to Nissei, the Thailand production subsidiary is considered as the firm’s gateway to Southeastern Asia, to strengthen sales in Thailand, Southeast Asia, and West Asia, as well as utilising FTA (Free Trade Agreement) and EPA (Economic Partnership Agreement) to strategise global sales. To prepare for the opening of the Thailand subsidiary, local recruits have been visiting the Headquarters in Japan since last December for training in injection moulding machine’s parts processing and assembly until the beginning of April. After returning to Thailand, they will work as candidates to take management positions in parts processing, machine assembly, and engineering. Previously, Nissei branches in Thailand were a representative office, which opened in 1971, and a sales subsidiary “Nissei Plastic (Thailand) Co., Ltd.,” which was established in 1994 in Bangkok. A technical centre in Samut Prakan, which is located near Bangkok Metropolitan Region, was opened in 2005 and has provided user support and strengthened sales. Establishment of the new production subsidiary will reinforce coordination with production, sales, and service to promote further expansion of business in Thailand and Southeast Asia.